Cloudy. Slight chance of a rain shower. High 54F. 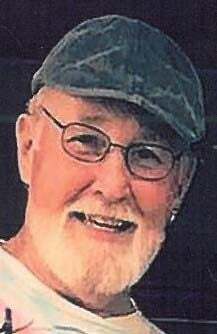 Winds N at 15 to 25 mph..
CAPE GIRARDEAU -- Roger Dale Brewer, 71, of Jackson, Missouri, died Friday, March 15, 2019 at his home. He was born August 16, 1947, in Leadwood, Missouri, to Paul Joseph and Wilma Brown Brewer. Roger served in the United States Army. Survivors include his daughter, Tracy (Daryl) Owens of Jackson, Missouri; brother, Larry (Karen) Brewer of Park Hills, Missouri; sister, Sherry Brewer of Leadwood, Missouri; two grandchildren, Holly Lindsey of Valley Park, Missouri, and Ryan Mauk of Fredericktown, Missouri; special niece, Kennedy (TJ) Radford of Bonne Terre, Missouri; four nephews, Dustin Brewer of Bonne Terre, Missouri, Caleb McCoy of Ellington, Missouri, Corey McCoy of Bonne Terre, Missouri and Rocky McCoy of Saint Louis, Missouri; and many friends and brothers of the motorcycle community. There will be no services. Burial will be at Missouri Veterans Cemetery in Bloomfield at a later date. Online condolences may be made at www.fordandsonsfuneralhome.com. Ford & Sons Funeral Home is in charge of arrangements.